This is a larger size version of the 3mm braid ring. 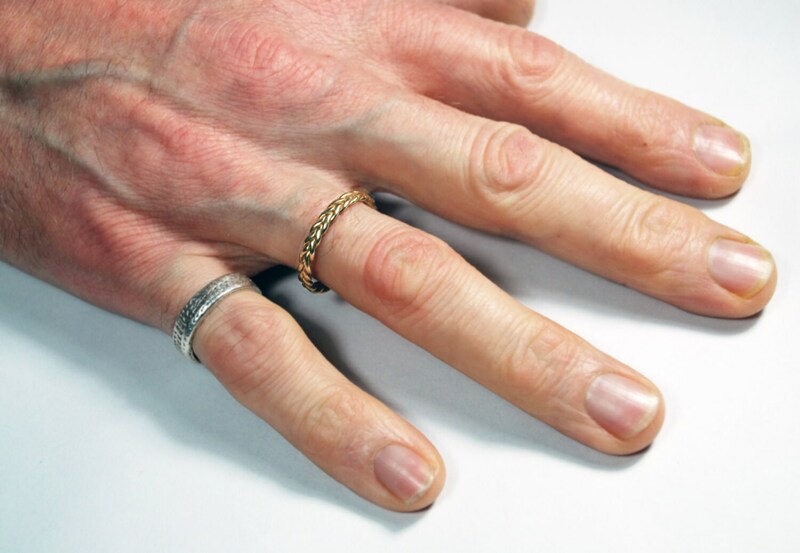 It is a perfect choice for a man's thin low profile wedding or commitment ring, but works equally well on a woman's hand on its own or as part of a stack. It is approximately 3mm wide with and approx. 1.4-1.5 mm thick profile height, cast in solid 10k recycled yellow gold. Please contact me if you need a smaller or larger size. IF YOU WOULD LIKE THIS RING CAST IN WHITE OR ROSE GOLD INSTEAD OF YELLOW, PLEASE WRITE "WHITE GOLD" OR "ROSE GOLD" IN NOTES AT CHECKOUT. 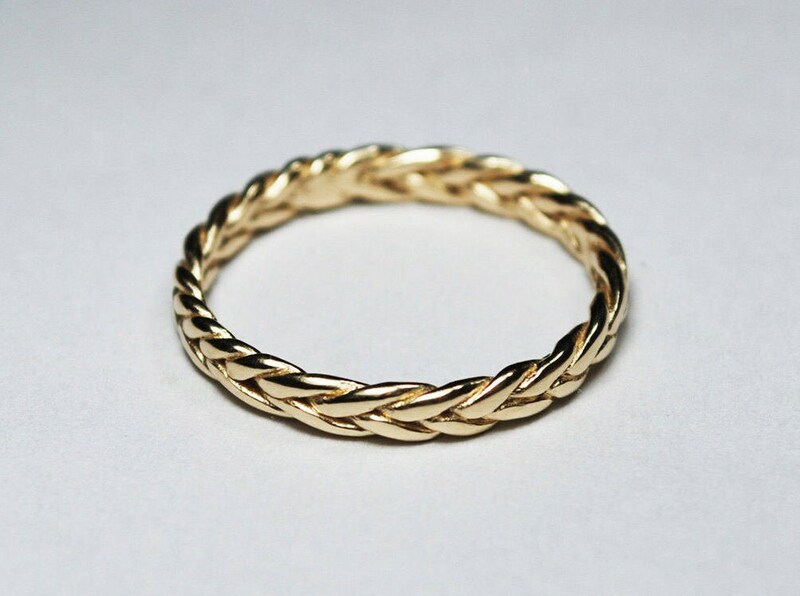 LISTING PRICE IS FOR ONE 10K GOLD BRAID RING. The braid rings are MUCH easier to size up than they are to size down. To size up, I simply anneal the metal and stretch it ever so slightly on a mandrel which does not cause any damage to the pattern. In order to size down, the ring must be cut and re-soldered which can cause damage to the braid pattern and is significantly more complicated. Another great purchase from this seller. Absolutely beautiful and just as described. Very quick postage. Recommended seller. Many thanks !